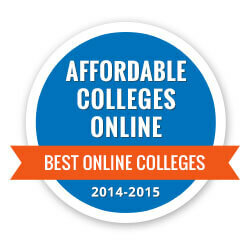 NIU ranks 41st on the Affordable Colleges Foundation ranking of 2015’s Best Online Colleges, released today. Schools included on the honor roll offer students affordable, high-quality programs combined with the flexibility of distance learning. “When it comes to online learning, these schools are the best of the best,” said Dan Schuessler, founder and CEO of Affordable Colleges Foundation. The number of schools offering fully online degree programs has nearly doubled over the last decade, and online enrollments continue to make up an increasing proportion – almost half – of all enrollments in higher education. Schools on the list “appeal to prospective students and working professionals because they provide the same academic excellence in their online programs as their campus courses,” Schuessler said. Praise for NIU includes the range of degrees that can be earned online.